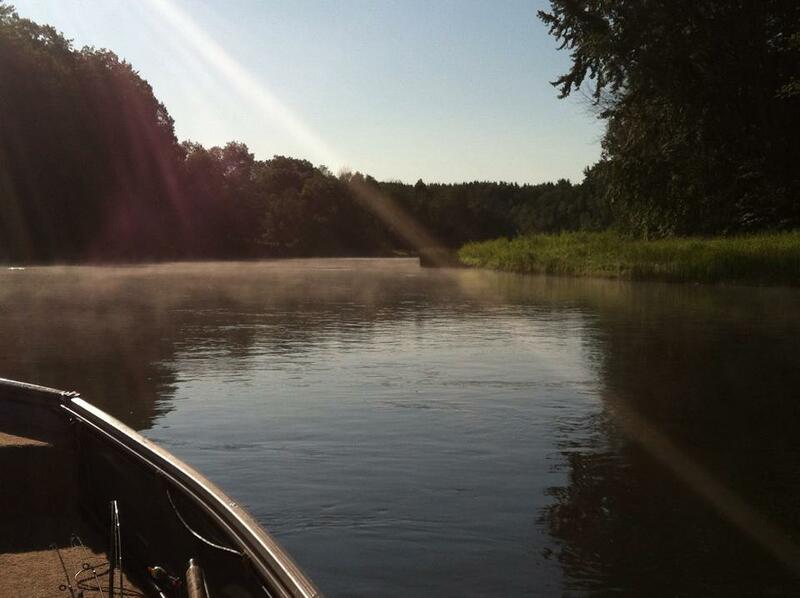 The Big Manistee River is probably the best known river in the state. It is known for great salmon and steelhead runs, however it has some great small mouth and pike fishing in the summer too. The salmon in the fall start a in August and the steelhead come up river around late September and early October looking to snack on salmon eggs. It also offers some great brown trout fishing. The browns in the Manistee can get very large, so large that in 2009 a new world record Brown was landed in the Manistee weighing in at 41.7 pounds. That record was broken in 2013. The Manistee also offers a summer run of steelhead called skamania. The Big Man really is a bigger version of the Pere Marquette.